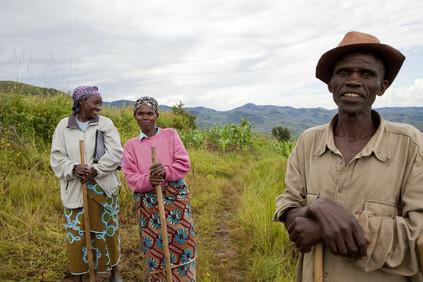 The International Fund for Agricultural Development (IFAD) has provided the Reframing Rio initiative with US$100 thousand to help ensure that rural poverty and the challenges faced by poor women and men living on 500 million smallholder farms are front and centre leading up to Rio+20. Reframing Rio is a multi-media project designed by tve, Inter Press Service (IPS) and the International Institute for Environment and Development (IIED) to enhance global awareness and mobilize efforts towards the urgent need of a sustainable world leading up to and beyond Rio+20. In addition to IFAD’s contribution the project is also supported by the EU and 9 other organizations. The project aims to help focus public and political debate on how a green economy can contribute to poverty reduction and sustainable development. The project will make use of written media, documentaries and short films covering a range of issues related to sustainable development to engage audiences in the discussion. By sponsoring the Reframing Rio project, IFAD is able to ensure issues that affect smallholders are included in the discussion. Rio + 20 is an opportunity to change the food and agriculture system so that smallholders in developing countries can be included. The world’s poor rural people and especially farmers of the 500 million smallholdings play a key role as providers of food and livelihoods. Smallholders supply up to 80 per cent of the food consumed in a large part of the developing world, with much of that produced by women, and yet smallholder households are often vulnerable to health and nutrition challenges. As managers of vast areas of land and natural resources, smallholders are both victims and drivers of environmental degradation, and need support to scale up sustainable practices. The upcoming United Nations Conference on Sustainable Development (Rio+20) promises to be a historic milestone for global sustainable development. IFAD is working together with partners including the Rome-Based Agencies, farmers’ associations and indigenous peoples groups to ensure that smallholders will be empowered to contribute and participate to their full potential. More on the Reframing Rio project will be posted here soon, so keep an eye on our blog. Find out more on IFAD’s engagement in Rio+20.